So, you want to buy a 3D printer. 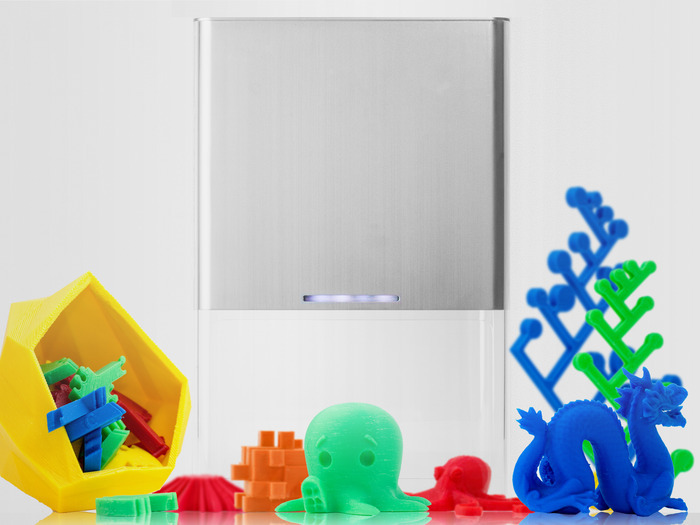 You’re familiar with staples like RepRaps, the MakerBot Replicator and the Formlabs Form 1+. But seeing as you’re an early-adopter type, chances are you’ve also looked at the ample options on crowdfunding sites. We decided to crunch the numbers behind all 67 successfully funded 3D printers (excluding partial kits and related items like 3D printing pens) that had completed their campaigns on Kickstarter or Indiegogo as of October 1. We counted ship date as the month the very first printer was mailed out, meaning our numbers don’t reflect how long shipping dragged on. And while this might not shock anyone familiar with crowdfunded hardware, we found that backing a printer can be a frustrating experience. Only 32 percent of the printers shipped on time, with an average delay of 2.3 months. Some backers have not heard from the creators of the 3D printer they funded in months, leaving them to wonder if their money had disappeared in a puff of SLS powder. The Buccaneer raised $1.4 million and shipped 3 months late. Photo by Pirate3D. But we also found that 3D printing really is a growing field. Gartner predicts that the machines won’t catch on among general consumers for another five to ten years, but crowdfunding backers are already pouring millions into buying them annually. In 2013, 3D printers raised $7,159,798. They have already garnered $8,111,999 in 2014. Crowdfunding can be a risky step to take. In exchange for a deep discount on a printer, you have to wait months, or even a year or more, to receive your machine. There’s no guarantee that the team behind the printer can deliver. But if they do, you could be the first to have your hands on the next big 3D printer. Check out our detailed analysis of 3D printer crowdfunding. It’s bigger than this- not just 3D printers. It seems many/most project deliveries on KS or Indiegogo get delayed, in some cases by more than a year! Yes–these trends apply to many other types of hardware on crowdfunding sites. That is a project for another day though! Thanks for your comment. This highlighted an important piece of info I did not include in my story: We counted from the first printer that shipped, not the final printer. I’ve updated the text of my story to be more clear about that. Ultra-bot did ship one printer in March of 2013. I understand that he did declare bankruptcy and not ship all the printers. Holding out hope that my New Matter printer ships on time (next April/May)! Thankfully, the creators seem legit and have been keeping backers informed through the process.